It has more than 5000 employees, of which over 40% of R&D personnel, holding numerous patents, and a number of technology to break the monopoly of foreign companies. This time company has come out with its recent Flagship devices Coolpad Dazen Note 3. Today we will discuss about coolpad dazen note 3 which is available on amazon India at a price of just ₹ 8,999. The first flash sale of this phone is on 20th, October 2015. Let’s have a quick look at its specification, to decide whether it is worth of its price value. First, we will talk about its processor. It will be powered by MT6753 64 bits true octa core Cortex A53 processor, (Same processor as in Elephone p6000 pro, Oukitel u10,Zopo speed 7 plus,Leagoo Elite 1 etc. ).Antutu benchmark score reaches 35000+. This processor is clocked at 1.3 GHz with Mali-T720 GPU. Android 5.1.1 (Lollipop) will come preinstalled in this phone with Cool ui 6.0 on the top. This phone will support 13 Indian languages. Now let’s see its Camera power. It will be having 13 Megapixel camera on the back with LED flash, CMOS Sensor, 5 Element HD Lens and 5 Megapixel on front for selfie lovers.Other features of its camera are Auto-focus , HDR, Panorama, continuous shooting, Face detection, Touch focus, Digital image, Digital zoom etc. It will sport 5.5 inch IPS multi touch HD (720 x 1280 pixels) display (267 ppi) with 16 million colors. It will be having viewing angle up to 178 degrees.It comes with NEG glass protection for protection from accidental drops or damages.This is having capacitive navigation buttons without backlid on the bottom of display. Its width will be 77 mm, height 151 mm and Thickness will be 9.3 mm. colour reproduction is good. 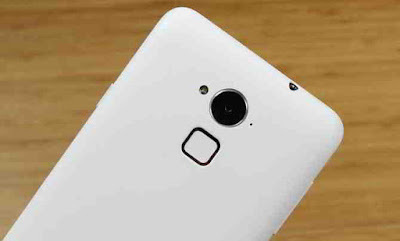 LED notification is supported.This phone is capable of playing full hd videos.Lot of gestures are supported like double tap to wake up,slide up to unlock,multiple drawing gestures.It will come in White, Yellow,Pink,Blue and Green colors(Currently only White color available in India). It comes with 3 GB RAM and 16 GB ROM.Out of 16 GB,only 9.15 GB is available for users. It can be further expanded up to 64 GB through Micro SD card and downloaded applications can be moved to the SDcard. Out of 3 GB around 2.2 GB available on first boot.USB OTG is also supported.Weight of mobile with a battery will be 168 gms. It will be having Dual SIM, Dual standby (Micro SIM) and both sim will support 4G(Indian 4G bands are supported in this phone.Call quality is good and clearly audible. It will be having built in GPS and A-GPS. Bluetooth version will be 4.0 A2DP Technology. It will support Micro USB 2.0.USB on the GO is also supported; will come with 3.5 mm Audio Jack. Browser will support HTML, HTML5 &amp; CSS 3. Wi-Fi: IEEE 802.11 a/b/g/n, supports 2.4GHz/5GHz Wi-Fi and Wi-Fi Hotspot. Battery Capacity of this Mobile will be 3000 mAH. It can easily give full day backup on moderate use of the phone. Sensors available on this phone will be G-sensor，P-sensor，L-sensor，Gyro-meter，， E-compass,. It will be having FM Radio. Other Features of this phone will be Fingerprint Scanner Touch ID which support 360° identify, and very fast recognition(recognizes upto five fingers). Hi Rajaul, Can you able to find any custom rom for Coolpad Note 3. If so, please share. Also there is no correct forum for coolpad note 3. Till now no custom rom available for Coolpad Note 3.First we have to work on custom recovery and root method,then only we can think about custom ROM. Screen Lock option - Password is not available in Coolpad Note3. Only available options are - None, Swipe, Pattern and PIN. Can anyone help me in getting Password option? I HAVE ROOTED MY MOBILE JUST NOW YOU CAN FIND IN GOOGLE SEARCH KINGROOT 4.8 V THIS CAN HALP YOU ALL THE BEST. Widget seems to be a problem in Coolpad note 3, any ideas to fix it tech gurus? Not possible,as we can't take backup of recovery partition unless we root the phone,and to root phone we have to flash custom recovery,so recovery get changed. take titanium backup of your apps and copy anything important on internal memory to external memory and flash stock ROM through spflashtool. I have had bought an Coolpad Note-3 from India. It was working great in India. The performance, camera picture quality, voice quality and the battery life. Was very happy with the phone while operating from there. Recently i moved to USA and have a AT&T go-phone sim. However here phone shows the signal is caught by the phone the sim gets registered only on a 2G network. But i am not able to make any outgoing calls neither incoming. Same problem with try to access the internet. What is the problem? Can i fix it myself? When i check on the AT&T go-phone compatibility page with my IMEI number, the site says "Your device is compatible, but we are unable to find the correct SIM card." Iam using this device for a week i had some doubts please clear the same. 1. What is the use of 'net1/net2' & 'No service' near multi task in quick settings? 2. Is cast screen available. Where & how? Thats all from me & had a suggestion that please provide full user guide for better knowledge of device. I tried to install custom rom on it, so I have Rooted my phone, it went very well. Then I tried to go to Recovery mode to flash the custom Rom, the mobile didn't boot to the recovery mode after some time of stock boot animation it boots to normal booting process. Then I tried to factory reset my mobile that's also again boots to the normal boot and back to normal. I tried to flash the custom recovery through Rom Manager app, Twrp recovery & flashify apps but no luck. Can anyone please suggest how to get the stock recovery of this phone. Any way to enable different 4g bands in CPN3. Now only band 3 and 40 are enabled whereas band 5 is already operational and band 28 will be operational soon. CPN3 cannot take advantage of this even though MTK chipset supports this. Can Coolpad enable this for the masses ?